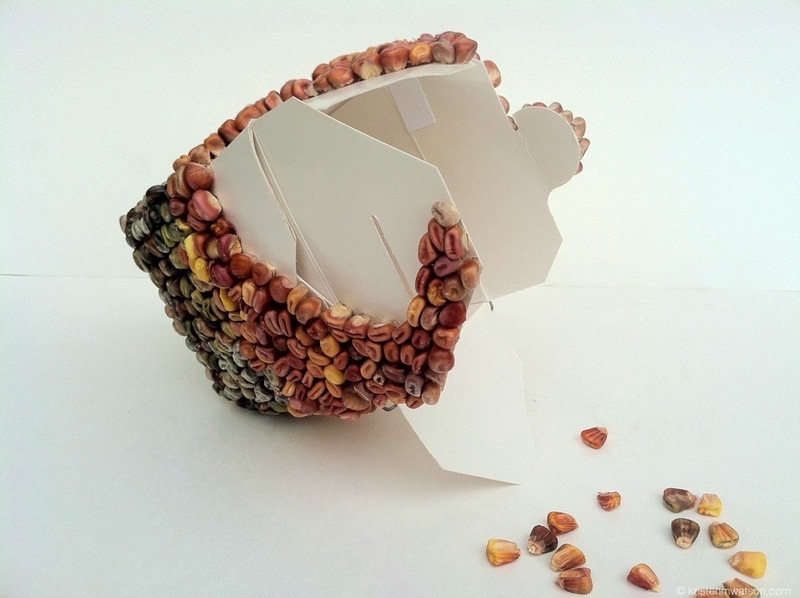 left to right: "Zea Mays" (4 views), 2013, approx. 4 x 4 x 8", heirloom corn, take out container. 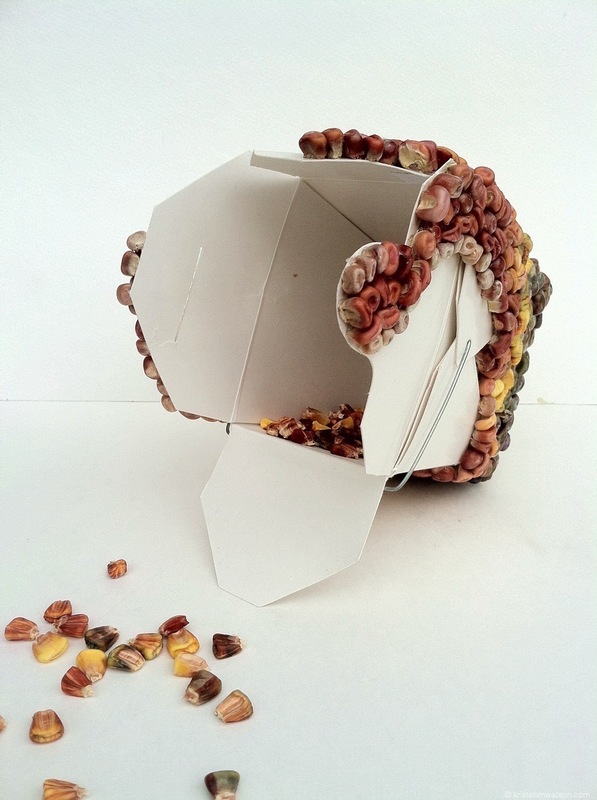 Zea Mays, while similar in technique to the Pharma series, is more about the objective and conceptual contrast (and ironic parallels) between hand-grown food and the ubiquitous take-out container. I thought about how these two objects came to exist and came into my life. One I nurtured daily from seed to harvest and beyond. The other, along with its former contents, is a ready-made food in a ready-made disposable vessel. Click on an image to begin slideshow. Sorry, Zea Mays is not for sale at this time.